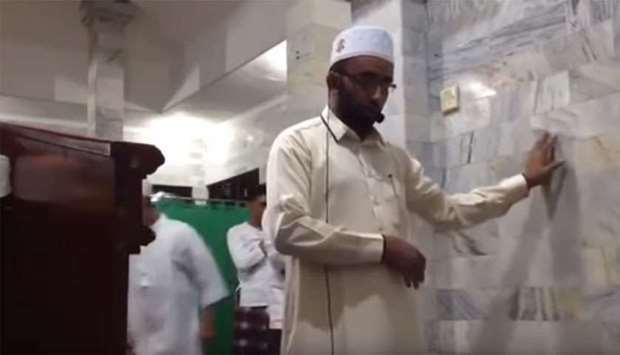 A clip showing an imam proceeding to pray as a Bali mosque is shaken by the ongoing Indonesian quake has circulated around the web, with many praising the man for his relentlessness. A representative for the Musholla As-Syuhada mosque said that admirers heard sounds from "the roof and the rooftop like it would fall, so we ran". Be that as it may, the imam, named Arafat, remained as he trusted "his life was just for God to take" thus the mosque was "the best place to take protect". The earthquake, which struck on Sunday evening close to the neighboring island of Lombok, killed scores of individuals and harmed some more.